Love this trick. My good friend Veronica (whom we lost in 2005) gave me this tip. 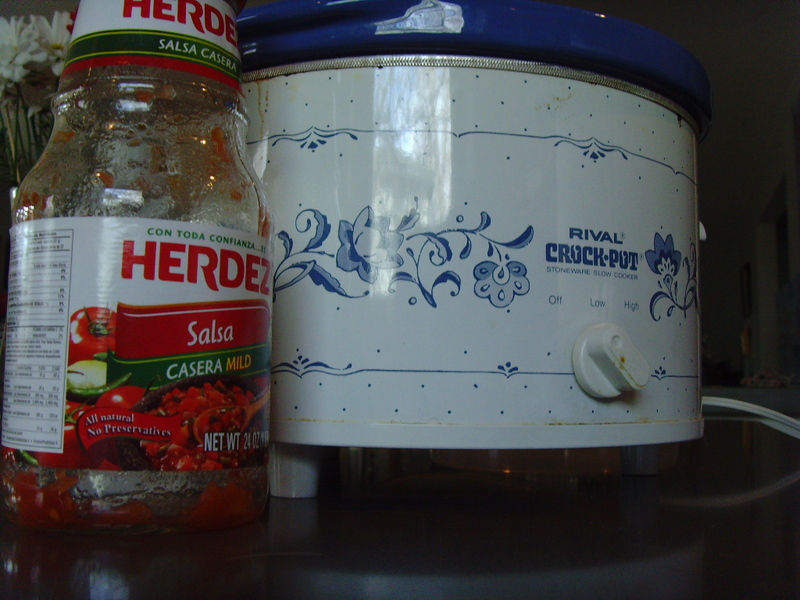 Put chicken breasts in the crockpot, cover with salsa. Cook all day on low. The chicken shreds easily with a wooden spoon. Make burritos first night, then make soup. Add cans of black beans and diced tomatoes, frozen corn, and chicken broth. I add extra flavor with a teaspoon of adobo sauce*. Serve topped with chips, cotina cheese and cilantro. *adobo sauce is GREAT in chili, adds a little smoky flavor.